The Fourth Judicial District Commission on Judicial Performance, recommends, by a unanimous vote of 9-0, that Judge Stephen J. Sletta BE RETAINED. Judge Sletta was appointed to the El Paso County Court in 1991. He served as the Presiding County Court Judge from 1993 to 1998. Judge Sletta hears mostly misdemeanor criminal, civil, and traffic cases. Judge Sletta was raised in Colorado Springs and graduated from Colorado College. 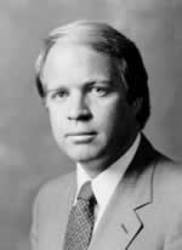 He received his law degree from the University of Colorado School of Law and was admitted to the Colorado Bar in 1975. He was in private practice for fifteen years before his appointment to the bench. The Commission based its recommendation on survey responses from 179 attorneys and 198 non–attorneys. Judge Sletta was interviewed by the commission and observed in the courtroom. Additionally Judge Sletta completed a self-evaluation. Among attorneys 77% recommended Judge Sletta be retained, 16% do not retain and 7% made no recommendation regarding retention. With non-attorneys 87% recommended to retain (75% strongly recommend retain) 9% do not retain and 4% made no recommendation regarding retention. (These percentages may not total 100% due to rounding). Judge Sletta’s strengths and high marks came in the areas of promptly issuing a decision on the case after trial, remaining completely neutral, treating participants with respect and speaking clearly so everyone in the courtroom can hear what's being said. The commission feels he is a good mentor for incoming judges and his colleagues should utilize his experience.